Out of the 3.2 million cats that enter shelters in the United States every year, only about 1.6 million are adopted. And shelters are starting to do something about it. 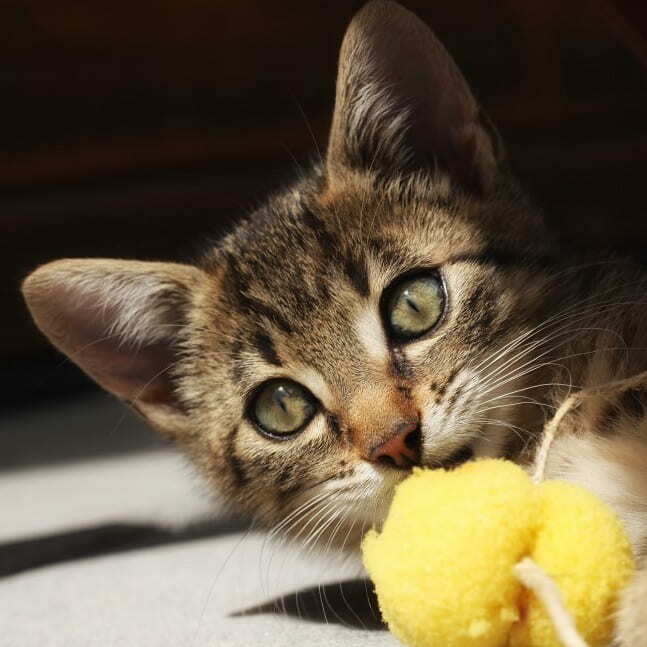 From giving toys to play with and feeding them quality all-natural cat food to using special scents to keep them calm, shelters are changing their approach to caring for their furry residents to reduce stress and to make the cats more adoptable. Animal shelters are incorporating several interesting methods of looking after their cats’ mental health with enrichment activities designed to increase the number of adoptable cats. According to a research study at the Ashland Cat Shelter, the goal of “enrichment” is to let cats live their best lives by encouraging species-typical behavior while increasing the cats' ability to cope with challenging situations. Olfactory enrichment, as they call it, approaches this goal using cats' sense of smell, with the understanding that certain scents are soothing to cats. Results showed that nearly all domestic cats love one or more of these scents. Because these scents are safe and non-addictive, shelter workers and owners alike can feel good about providing them to their furry charges. And cats experiencing the stress relief offered by this "euphoria" may indeed prove to be more adoptable than fearful or stressed out kitties. Animal shelter volunteering is about more than just providing a roof and necessities. More volunteers are working to improve the odds of animals being adopted with a variety of strategies. Clicker training is one of the simplest, and it teaches cats to be responsive to commands. This, in turn, makes them more appealing to people looking to adopt. This positive training technique marks desirable behaviors with a click and rewards it with a treat. Because the clicking sound is completely different from everything else in the cat's environment, it becomes an effective form of communication between people and pets.